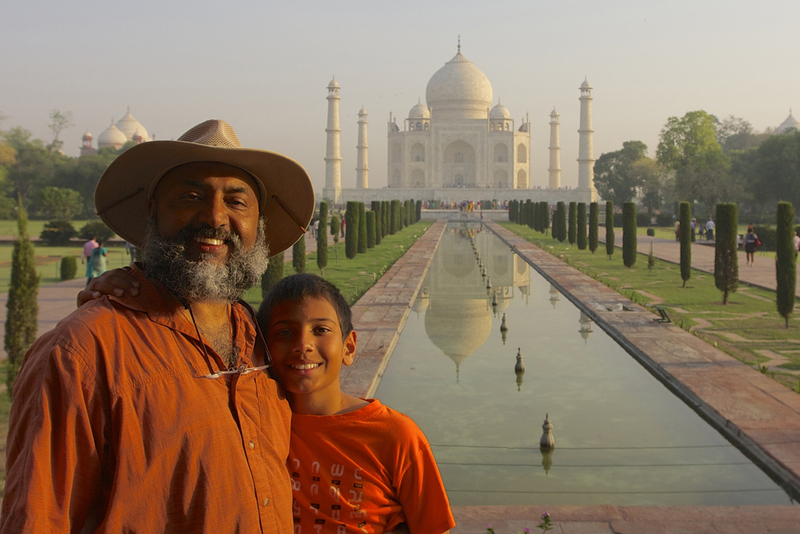 The insider advice on this page is from Wendy’s Trusted Travel Expert for India: Sanjay Saxena of Nomadic Expeditions. The Gateway Hotel, where the upper-floor rooms facing north have a view of the Taj and rates are half that of the Oberoi Amarvias, which offers views of the Taj from every room. Pinch of Spice, just across the road from the ITC Mughal Hotel, serves local cuisine and is popular with locals and tourists alike. Dasaprakash serves only vegetarian fare (and no alcohol), specializing in South Indian cuisine. For those only traveling to northern India, this restaurant offers a respite from the standard curries served everywhere. Ask for a masala dosa or an uttapam (a sort of Indian pizza), both very traditional South India favorites. For the more adventurous, Agra offers cheela, which is made of lentil flour cooked on a flat iron skillet like a crêpe, with tomatoes, onion, and local spices. Street vendors and small restaurants in Sadar Bazaar all make and serve this Indian crêpe. Buy one and eat it as you wander the bazaar. The Old City of Agra, best visited by foot. Its narrow alleyways are lined with small shops where locals come to buy their spices, textiles, ayurvedic medicine, kitchen wares, and prayer offerings. Some of the buildings in the Sadar and Kinari bazaars date back to the Mughal Empire (some over 400 years old), and there’s quite an important Shiva temple here too. Best of all, a walking tour of the Old City reveals a slice of everyday life in Agra, far from the maddening tourist crowds. Hiring one of the so-called guides that stand outside the monuments flashing badges. 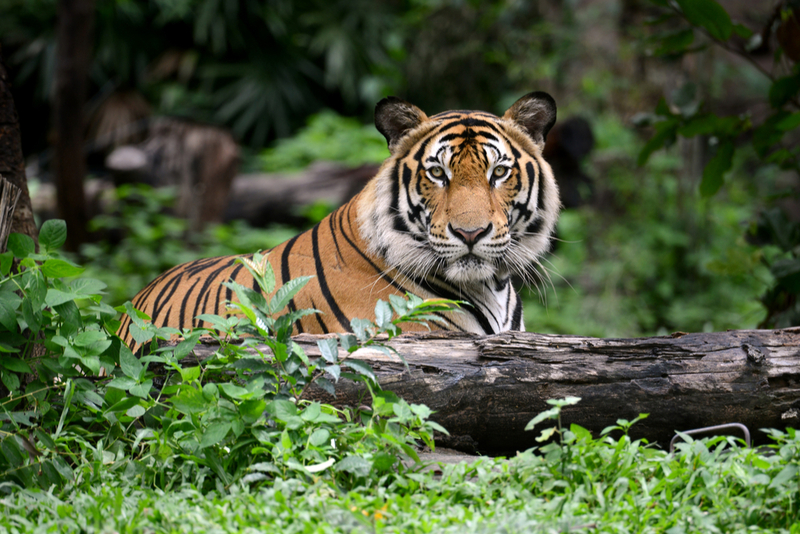 While they may have some knowledge of the site, they are unlikely to have the required government certification and will not be allowed to enter the monument. In general, they’ll take you around the outside and then tell you you’re free to explore the interior on your own. Itmad ud Daula and Metab Bagh. These sites are close to each other, across the river from the Taj, and infrequently visited, as it takes time and effort to go across the river. Itmad ud Daula (the mausoleum of Shah Jahan’s father-in-law) predates the Taj Mahal and has a far greater concentration of marble inlay workmanship than the Taj. Metab Bagh is a garden across the river directly opposite the Taj Mahal. It’s reputed to be the site where the “black marble Taj Mahal” was going to be built for the king. Whether the story is true or not is unimportant; what matters is that the views of the Taj Mahal from here are glorious and unobstructed and you will share the site with just a handful of people. Pose at the viewing platform at the main entrance to have a photo that looks like you’re holding the Taj Mahal in your hands. 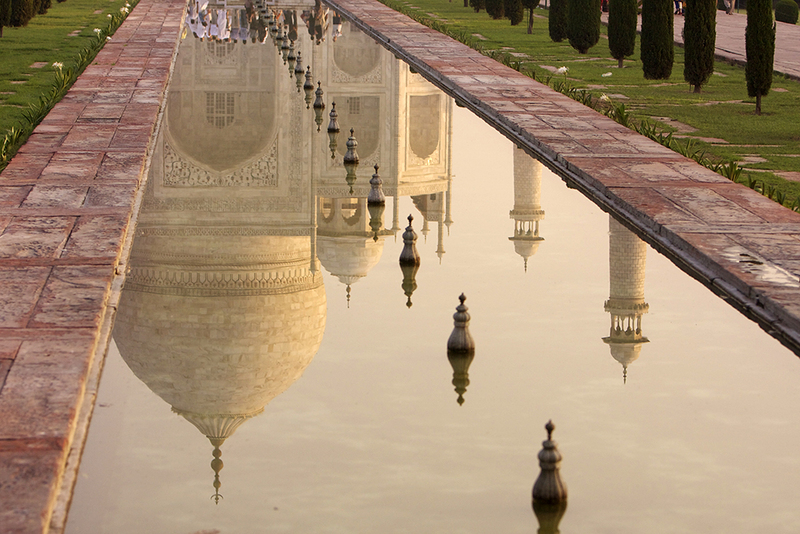 Tripods and large-format cameras are strictly forbidden in the Taj complex. 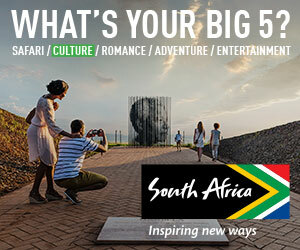 But we can obtain special permission for photographers to bring in a tripod for their 35mm or large-format field camera. The permits are valid for the Taj, Metab Bagh, and Itmad ud Daula. Under no circumstances are you allowed to take your camera with you inside the mausoleum. July through October and February through March, when you’ll find the fewest people in Agra and the best photographic conditions. There are 100 Indian tourists for every foreign tourist who comes to the Taj Mahal, but the Indians are either headed to the temples at sunrise or fast asleep, so the inner chambers are least crowded and easiest to explore in the early morning on weekdays. In terms of crowds at the Taj Mahal, weekends and Indian national holidays are the worst, with some 52,000 visitors a day—more than four times as many as on weekdays. About 75 percent of visitors arrive in the afternoon, but it’s the only time you’ll see the glow of the sunset on the Taj. Tip: Arrive no later than 3 p.m. or the lines to get in become incredibly long. 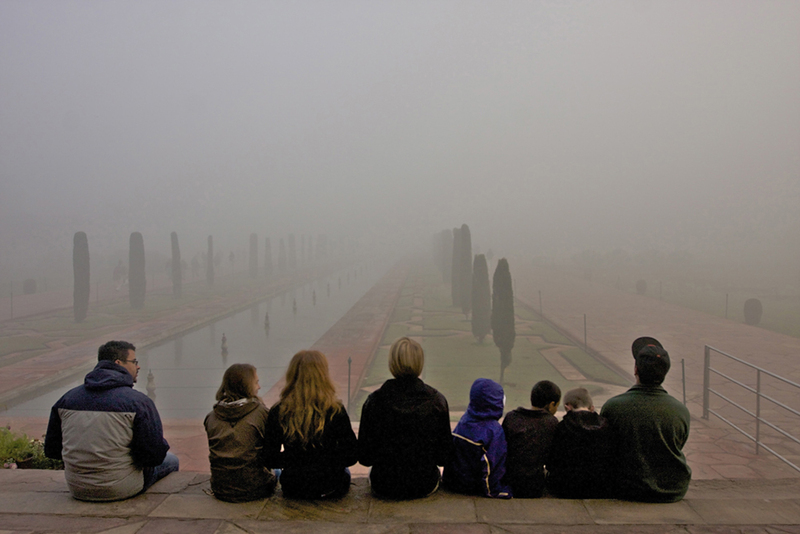 December and January are poor in terms of visibility: Heavy smoke from wood and coal fires during these months create a smog that settles in during the night, completely obscuring views of the Taj during the early morning hours (there are days when one cannot even see the Taj from its entry gate till 9 or 10 a.m.). Not buying the entrance ticket ahead of time. Tickets to the Taj Mahal are not sold at the entrance: The ticket office is actually located in the East Gate parking lot about a mile from the monument entrance. Tickets to the Taj may also be purchased at any of the other monuments in Agra—but be sure that the date stamp is for the day that you will be visiting or is an open-ended ticket. Bringing your daypack with camera accessories (even pocket tripods and battery chargers); your journal or other writing materials, or books. None of these are permitted and you will have to leave them outside in a locker. These are perfectly secure but it’s time-consuming: You may miss the sunrise if you’re busy checking your belongings into a locker. 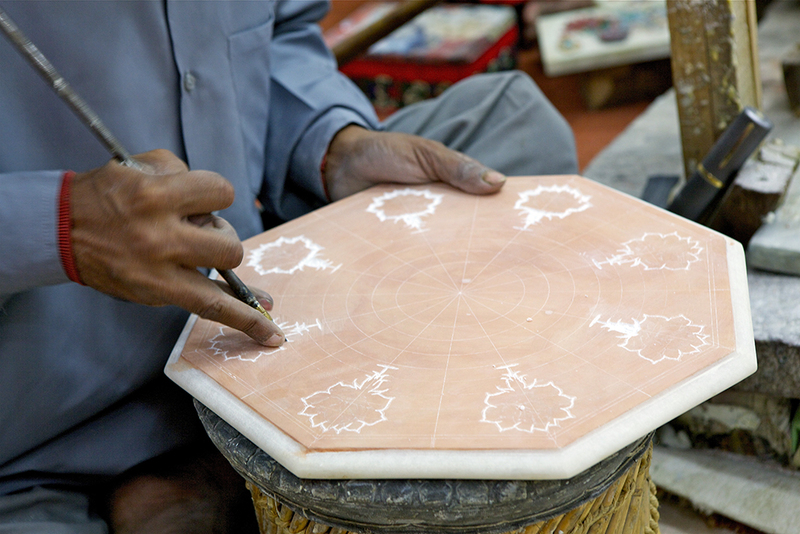 Artisans who are descendants of the craftsmen who built the Taj still carry on the tradition of inlaying precious and semiprecious stones in marble. Watching them work is a treat, and you can buy items large (dining table tops) and small (a box, coaster etc.). Just be sure you know what you’re buying: Some artisans also work in soapstone and are happy to let you assume that it’s marble. You’ll be safe with anything you find in the showrooms at Akbar International or Kalakriti, two stores known for their high-quality, exquisitely crafted marble pieces. 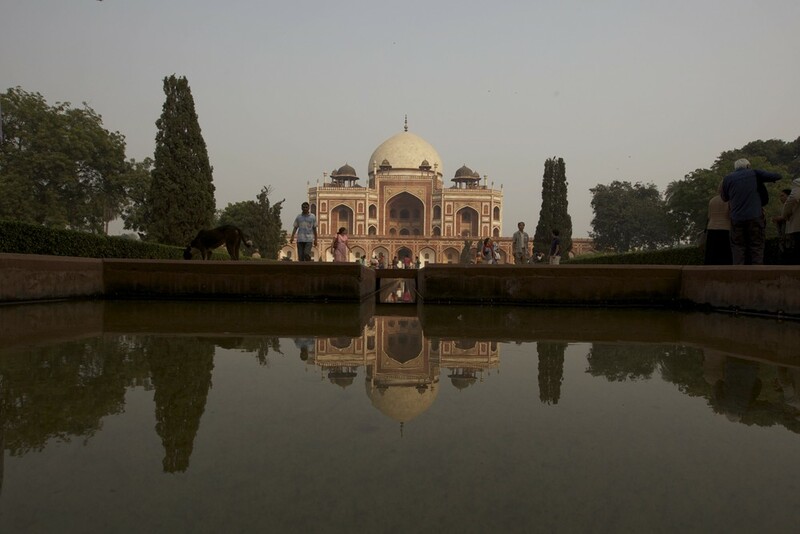 Sunset at Metab Bagh: Get the full spectacle of the Taj Mahal minus the crowds. Don’t show up at the airport without a printout of your e-ticket and identification that exactly matches the name on your reservation. Without them, you won’t be allowed in the terminal. Shoes are strictly prohibited at the main building of the Taj Mahal, so bring extra socks in case you need to check your shoes: The marble can become quite hot as the day progresses. Better yet, be sure to ask for the free shoe covers that are included in the price of entry at the ticket counter in the East Gate parking lot. If you don’t ask, they probably won’t give them to you.